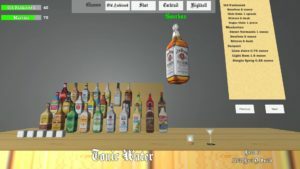 You are the bartender and must create and serve drinks to your customers. If you make drinks quickly and correctly, you will earn bigger tips. If you make drinks too slowly, then your customers will leave angry and leave you a bad Yalp rating. 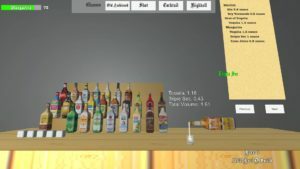 For the MiniLD #60, I created a bartender simulator game. 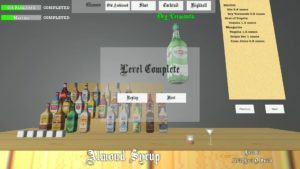 The objective of this game development event was to create a game using any past Ludum Dare theme. 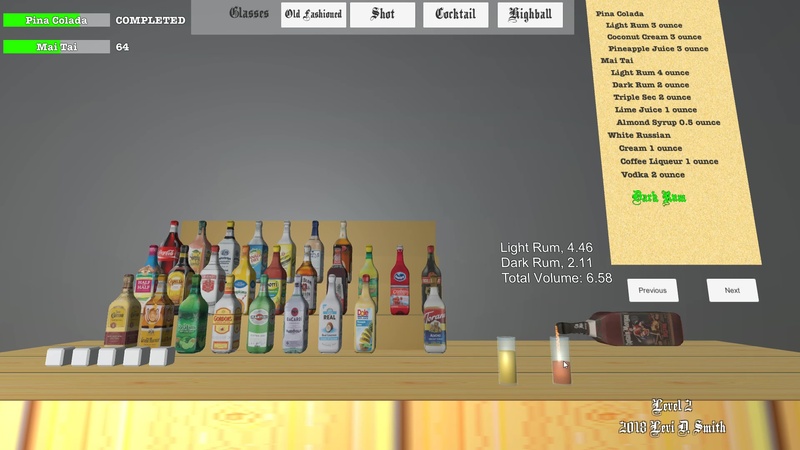 For my Bartender Game, I’ll say the theme is “Exploration” (Ludum Dare #16) since I don’t drink alcohol and know little about mixed drinks. 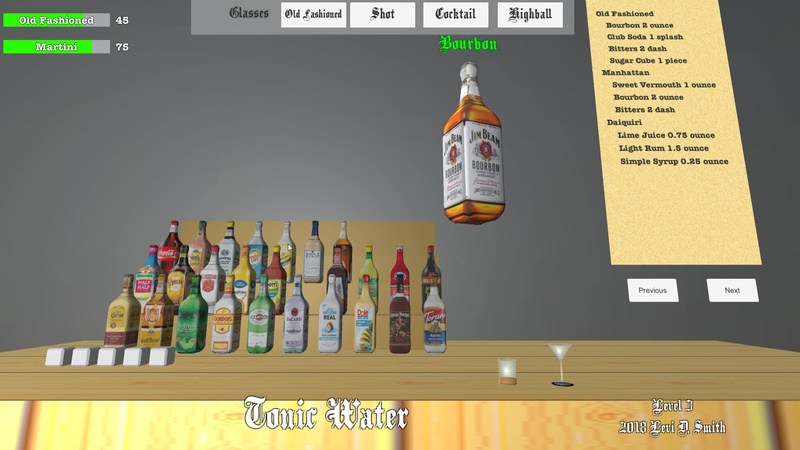 The idea for the game came to me while watching Bar Rescue. 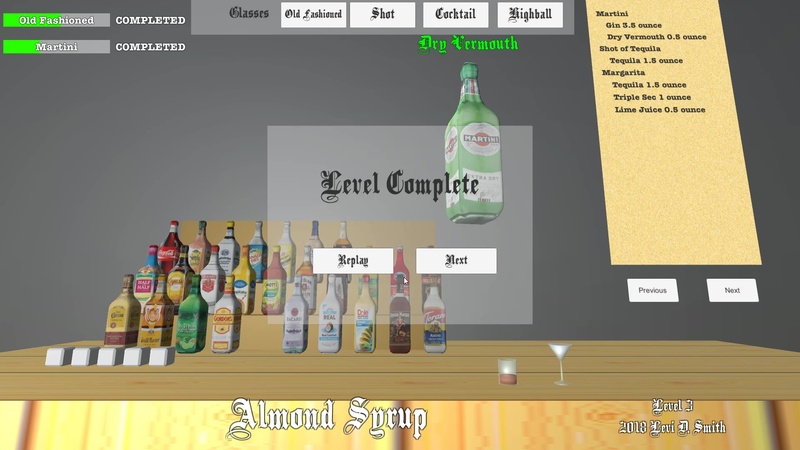 I never recalled anyone ever making a game about mixing drinks. It really is a science, with all the different drink components and measurements for each drink, which I thought would work great for a game. 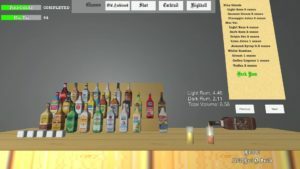 The customers arrive at the bar in waves, and you must make the drink that they request before their “happiness” meter runs out. Right now it’s just a number above their head. 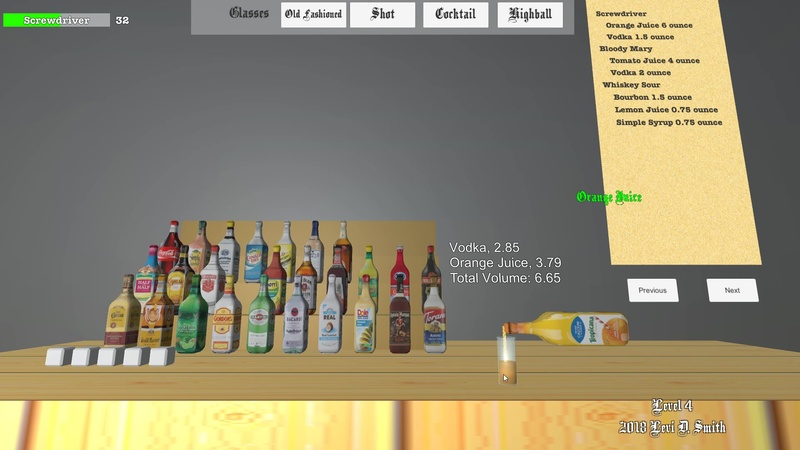 The idea is that if you will get bigger tips for making the drinks quickly and correctly (to be implemented). If you are slow, the customer will leave angry and leave a complaint, which will be reflected in you “Yalp” rating at the end of the game. I created the customer models using Make Human and I created the bottle model in Blender. 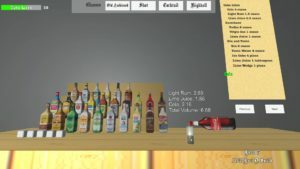 I used the Playmaker addon for Unity3D for most of the game logic, however I did write a few scripts for handling more complex logic. I would like to develop this game further by letting the player buy things for their bar using the money earned from tips. I would also like to add many more drinks and more models for the bottles with different texture mappings.